Looks like you will have to be extra careful in your workspace now. This drone has been designed to snoop data out of your computers, and it can do so just by hovering around your office. Looks like the job of a security researcher just got more demanding with the introduction of this drone. It can detect vulnerable network devices while moving here and there and then steal data wirelessly. As most of our networks are Wi-fi based, it must use some Wi-Fi connectivity as well. The aerial surveillance assault drone has a Raspberry Pi system running on Kali Linux that has been specifically designed for penetration testing or pen testing. Once the drone has copied all the useful information to get from a computer, it can send the information back to the remote pilot who can then transfer it to his superiors. What is even more surprising is that this drone has been built on open source technology that intends to save us from aerial espionage by getting there first! 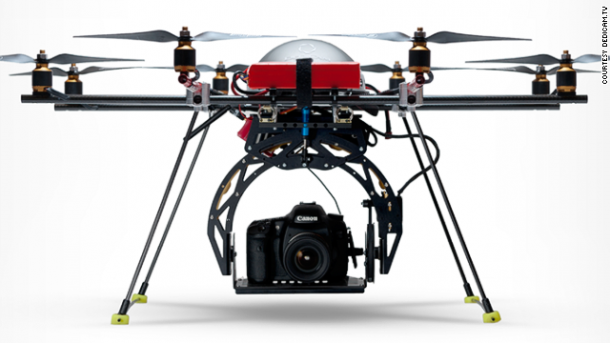 The drone is heavily customized to carry out missions outside conventional or unconventional buildings. For example, the courtyards previously inaccessible by personnel around a house and places with large fences. So, if you think you are spending enough money on security systems, think again as this drone is going to be available for 2,500$ at Wall of Sheep. Even when you are thirty floors up, this unmanned plane can find you and snoop you. Beware!